AfTLD uses bottom up approach in decision making. The EXCOM is the board of the organization providing strategic direction for the organization and assisting the secretariat to implement operational decisions. The EXCOM is made of the Chairman, Vice-Chairman, Treasurer and Functional Directors in different areas of operation. Currently, there are Directors for Research, Capacity Building, Communications and Strategic Partnership. The EXCOM is aided by Working Groups (WG) with participation by members in the different areas of interest to the organization. These working groups are mostly chaired by EXCOM members. The Executive Committee (Excom) is elected by the General Assembly to run the organization in accordance with the wishes of the AFTLD Members. The Excom is also the board of the company limited by guarantee that provides the legal structure for AfTLD. The Excom is led by a Chairman. The functions of the Excom are defined in the AFTLD Constitution. The SECRETARIAT is the operational arm of organization implementing all decision of the organization. The Secretariat is headed by the Administrative Manager who works with administrative staff. The Secretariat supports the General Assembly and the Executive Committee, organizes meetings and workshops, and is responsible for handling the finances. 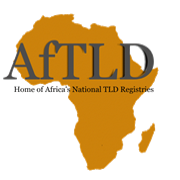 It also provides a focal point for enquiries concerning ccTLDs, and distributes information on matters of interest to the AfTLD Members.